Hailed as the first real documentary then later booed for being scripted and faked. 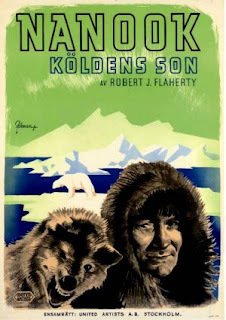 Flaherty’s most famous film is this documentary about a family of Eskimos. Made long before there were rules for documentaries this deserves applause for Flaherty having the balls to take his camera out of the studio and onto the tundra. If you don’t like seeing animals killed on screen (which I don’t) then this might not be your cup of tea.